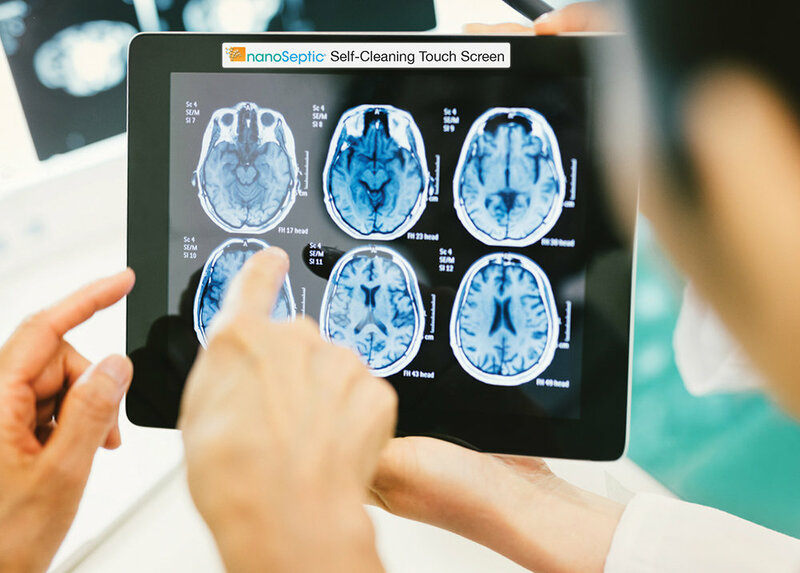 Clear Self-cleaning Film for Touchscreens - 9"x12"
Some of the dirtiest places we touch are electronic screens. This clear NanoSeptic film turns any touchscreen into a continuously self-cleaning surface. Low tack adhesive backing provides a more secure installation than traditional static cling. Can be cut to fit any size screen. Note: This film is intentionallynot completely clear. It may have small bubbles after installing. This is normal. This will not affect the operation of the touchscreen. Image shown: The touchscreen shown in the image also has a label identifying the screen as a NanoSeptic surface. This label is included in all clear film orders.